« Should your nonprofit focus on donor retention or acquisition? 1Every species on this planet has thrived by listening first. But for some reason, human beings tend not to listen first when engaging on social media. When you listen first, you get important information such as current topics most interesting topics, news, etc. Insights allows you to see which updates your community is engaged with most. 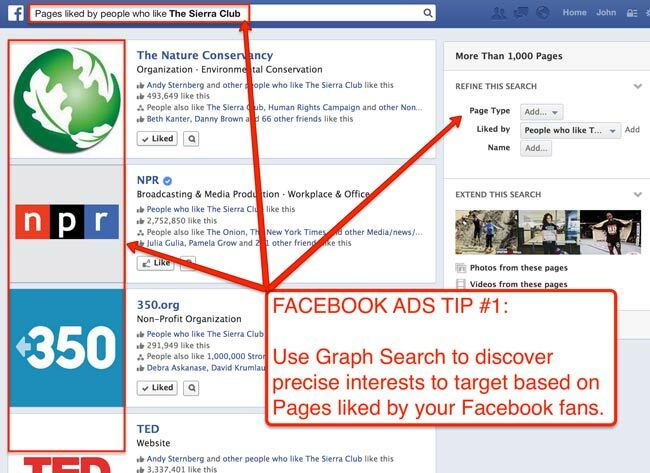 You can also use Graph Search to discover a lot of cool things about your Facebook fans. For example, see the search result at top of pages liked by people who like the Sierra Club. 2We all know that objectives should be smart, measurable, attainable, relevant, and timely, but relevance is often overlooked in this formula. You want more Facebook fans? Why? What does that have to do with your organization’s mission? What value we do offer in exchange for the increased Fanbase? These are questions you should be asking way before Facebook comes into the picture. 3Most nonprofits make the mistake of posting content that’s mostly self-serving. A post about your latest event is not that useful. Neither is the link to your donate now page. Remember, you are competing with friends the for attention in the newsfeed. The only way to stand out is to be useful. For example, the Humane Society of Indianapolis shares dog care tips and training tips (see below), instead of only info about dogs for adoption. Being indispensable (useful) to adoptees, increases chances that adoptees will share their updates with their friends (through liking, commenting, and sharing). Click the infographic to seeing it full size. 4In general, photos get the most engagement on Facebook and links get the least engagement. But this doesn’t mean that you should be publishing only photos to your Facebook page. Carefully consider the best way to publish your content, based on your objectives and what will be useful to your community. 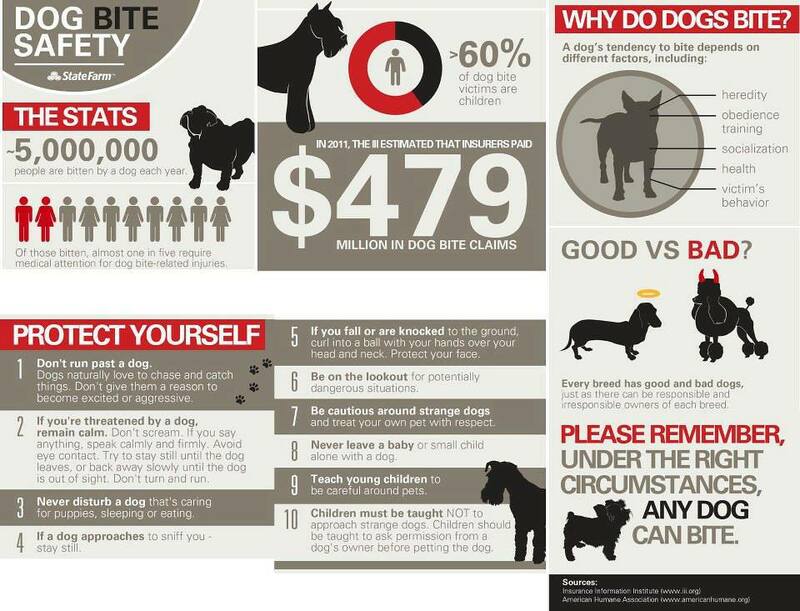 For example, instead of posting a link to an article about dog tips, create a simple infograph listing those tips. Posting this image instead of a link, in this case, immediately increases the chance it will be shared with friends. It’s also best to publish a mix of text updates, photos, and videos on your page so you don’t exclude fans who prefer other types of content. 5Most of the engagement on Facebook update happen within the first couple of hours. During this period of time you want to have your community management hat ready in hand. Responding quickly demonstrates your commitment to the community. Remember, Facebook users want to be heard. They want to know that your organization is listening and cares about what they have to say. Facebook is an awesome place to demonstrate this! 6Within the first few hours after an update has been published on your Facebook page, you’ll get a sense of how open “viral” it is. If you see that people are liking, commenting, and sharing the update more than previous updates, consider adjusting your strategy to give it more exposure. 7One way to get your updates more exposure is to use other channels, like Twitter, Pinterest, email, and your website. For example, if the the dog shelter mentioned earlier finds a lot of engagement around the infographic, they can embed that update within a blog post (blog posts tend to have much longer periods of engagement than Facebook updates). This approach will increase the exposure for that Facebook update, while at the same time providing the shelter with a blog post idea that’s already been vetted by the community. For organizations that use Pinterest, a good practice is to re-post hi-performing Facebook Page photos on a Pinterest board, linking back to the original photo on their Facebook page. 8Facebook ads are like salt and pepper, and your content is the meal. Ads are best used to enhance what you’re already doing right. Facebook ads can be used in a number of ways to lengthen the exposure on specific updates. As a general rule it’s good to focus on updates that have already performed well (lots of likes, comments, and shares). This is a “good karma” strategy that relies on people’s desire to reciprocate. Here’s how it works: Partners and similar nonprofits want to get results with Facebook too. Selectively reposting their updates makes you look like a hero and increases the likelihood that they’ll reciprocate. What can you add?John Haydon delivers social web strategy solutions for “the quick, the smart, and the slightly manic.” Curious? Then connect up: Contact John by email, see his profile page, visit the John Haydon blog, follow him on Twitter and Google Plus or leave a comment.